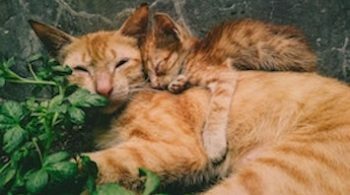 Discovering how to treat upper respiratory infection in cats naturally can lead you to a whole new and healthier life for your cat. Just learning how to naturally deal with, as well as avoid, future infections means looking at the whole picture of health – the holistic picture. 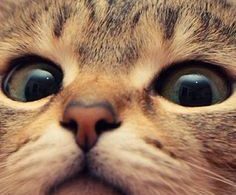 The holistic picture of health – yours, your cats, your dogs, anyones – means examining everything that could be contributing to ill health. This is not necessarily a quick fix approach, although it can be. It is a considered approach. An intelligent approach. We know that antibiotics, the veterinary approach to any infection, are so massively over prescribed that they are becoming ineffective. The bacteria are simply evolving to new strains that are out witting the manufacturers of antibiotics. Not only that, but as antibiotics don’t treat the cause of a problem, only the effect, they have a negative effect on the immune system. This means the cat (or whoever) is MORE susceptible to further infections. When you look at health from the holistic approach, the only thing that is meaningful is the IMPROVEMENT of the immune system. Not only do you want the current infection to resolve. You want to do it in away that improves, enhances the immune system, so that the likelihood of further infections are lessened. The environment consists of diet, toxins and stress – both emotional and physical. The typical diet of most cats is commercial cat food. This is, for the most part despite the label, the claims, the price and who sells it, non-nutritious. It keeps the cat alive. But not healthy. These diets are not in keeping with the species natural diet. This means, if you want a naturally healthy cat, you must start here. The next problem is toxins. We live in an ever increasingly toxic world, so its hard to avoid them altogether. But the most problematic of them are those that are ingested, such as veterinary drugs, as well as those that are injected. The cat has no defence against these so they build up in their bodies creating problems. All medical and veterinary medicines are synthetic or isolated chemicals, aimed at removing the symptoms rather than dealing with the problem. The better approach is to treat any problem, such as infections, is with an holistic medicine, such as homeopathy. This wonderful system of medicine works in accordance with Natural Laws and supports the restoration of a healthy immune system. The last part of the epigenetic modal is stress. Current stress, past stress. We can address any current stress by taking appropriate action. Past stresses can be more difficult to address, but can leave a destructive footprint. Again, homeopathy can undo past traumas and stresses. 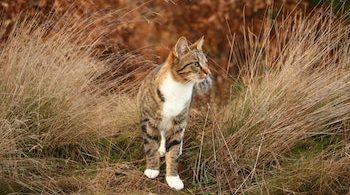 Discovering how to treat upper respiratory infection in cats naturally doesn’t mean you have to do all the work yourself. Others have already done the hard graft. All you have to do is to appreciate the idea and then work with an holistic practitioner who covers all the angles. You know how often people struggle with their cat’s health? They want to know WHY they suffer with health issues and all their veterinarian can offer is drugs and more drugs? They feel helpless and at the mercy of another. 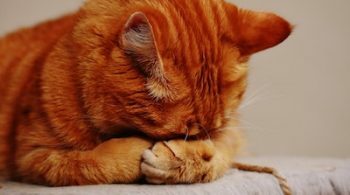 Well, what I do is to help you pinpoint WHY your cat is getting sick and implement a strategy that takes you to a feeling of empowerment, of being in control of their life. A strategy that restores their health and allows you, and them, to enjoy life. Discover Your Cat’s Path to Vibrant Health Naturally. What Is The Best Diet For Cats For Optimum Health?